The story of our Almond Jackets starts with a very familiar name. Andrew Tucker was a Smallbore and Fullbore shooter. He started shooting in school in the cadets. During national service in the RAF he became and armourer/fitter. In 1965 he established Andrew Tucker Gunsmiths with his wife Kathy. He led a hugely decorated shooting career including winning the Queens Prize twice and then a Commonwealth gold in 1990. He passed awar in 2003 aged 65. Brenda Almond was a shooter. She worked with Andrew and they developped the iconic Andrew Tucker Shooting Jackets together. She headed up production and pattern development, and was able to test new innovations both herself and on her young son Neil. Neil Almond started shooting when he was 10. He isnt sure how many jackets he has had in his shooting career, but he remembers being the metaphorical guinea-pig for a good deal of the aspects that are now 'Typical Tucker'. Pippa started out on the TenPointNine Tailoring Clothing Journey over 10 years ago, altering and repairing shooters' equipment. Immediatly the vast differences between materials, patterns and manufacturing techniques became apparent, so did the irefutable briliance of the Tucker Jacket. Neil has enjoyed a successful shooting career at Appleton Club, Nationally and Internationally. His depth of shooting knowledge is impressive to say the least, and when he came to TenPointNine with a jacket enquiry a few years ago, he could soon tell that his knowledge combined with Pippa's insights and life experience in tailoring would create a jacket like none other. They worked for a long time, fine tuning the key components. Pippa's approach to development is tenacious and ingenious. The end result was a jacket that took the brilliance of the Tucker jacket as a starting point and developed it into a jacket that was perfectly suited to the shooting climate at the time. 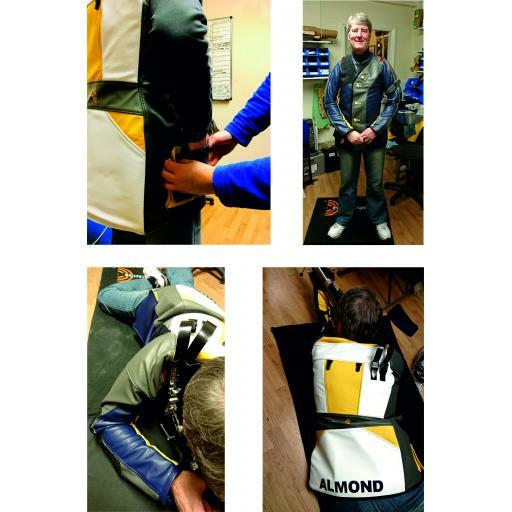 Over the last 8 years the success and development of the TenPointNine Bespoke jacket has been impressive and a testament to the hard work put in by Andrew, Brenda, Neil and Pippa. But as we in the shooting world know, hard work must be sustained in order to get consistantly good results. That's why in 2017, Pippa and Neil met to discuss a new jacket. It was time to reconvene the dream team. The plan was to make a jacket that included all of the wonderful developments of the last 8 years, over which time the whole jacket had been examined and reimagined countless times in the quest for improvement. 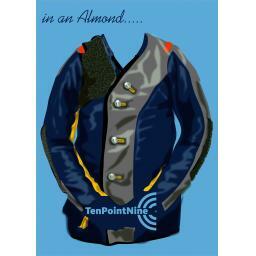 And so, the Almond Bespoke and the Almond LightWeight jackets were created. Both jackets are a tribute to the success of the Tucker jackets and the fond places they hold in peoples hearts (and shooting kit bags). But they are also reflective of the needs of shooting today. The sport has changed so much since the birth of TenPointNine, let alone Andrew Tucker Gunsmiths, so these jackets combine history and innovation in the perfect balance. Above: Neil Almond wearing his TenPointNine Almond Bespoke jacket in Jan 2018.